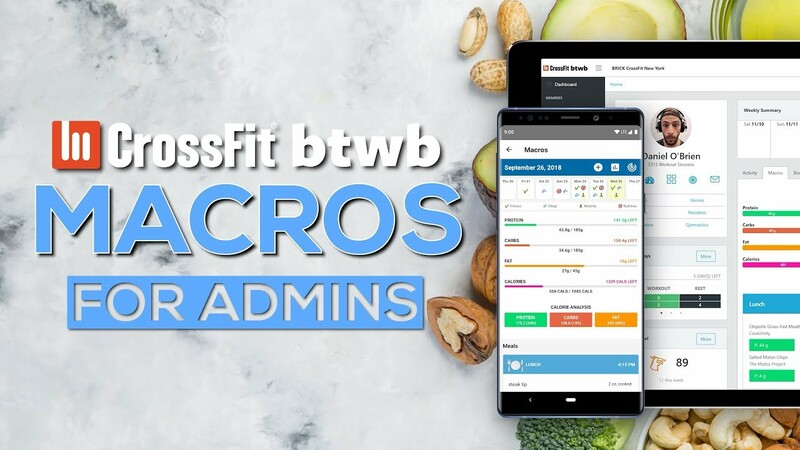 When you look up a specific member on the admin console, you’ll be able to assign them specific Macro Targets for their nutrition plan. Simple tap on the target icon below their profile picture and fill in the boxes. After assigning a set of targets for a member, they’ll be able to see them when they open the Macros page of their app. As they log their meals, their progress bars for the day will progress towards their specified targets. You can view a light and simple summary of your members habits with the Weekly Summary calendar. A green check mark means your member worked out that day, and the target icon means they successfully hit their macro targets for that day. A successful day is being ±100 calories of the total calorie target. The console will also allow you to view their daily progress towards their macro targets. Toggle between current and previous days to see their history. View the details of the meals they’re eating so you can check-in on the quality of the food they’re eating, not just the quantity. Keep their total calorie compliance in check by viewing their breakdown of where their calorie sources are coming from. Are they eating too many carbs and not enough fat? You’ll be able to easily interpret what they need to tweak.